As many of you know, I have owned an iPod Touch for quite some time now, and truly am a lover of the device. Some of you may also know that recently, I picked up a Motorola Droid X to test out the Android Operating System, and I am in love with it as well. 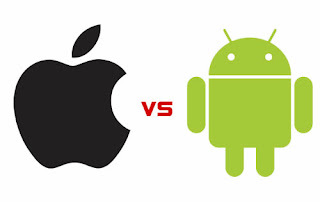 Below, you will find part one of many parts to come on iOS vs. Android. I will be picking up a new iOS device soon most likely, but in the video below, I compare Android on my Droid X to the iOS iPod Touch. Which do you think is better? Be sure to check out my YouTube channel and subscribe, and also follow me on twitter for more updates.